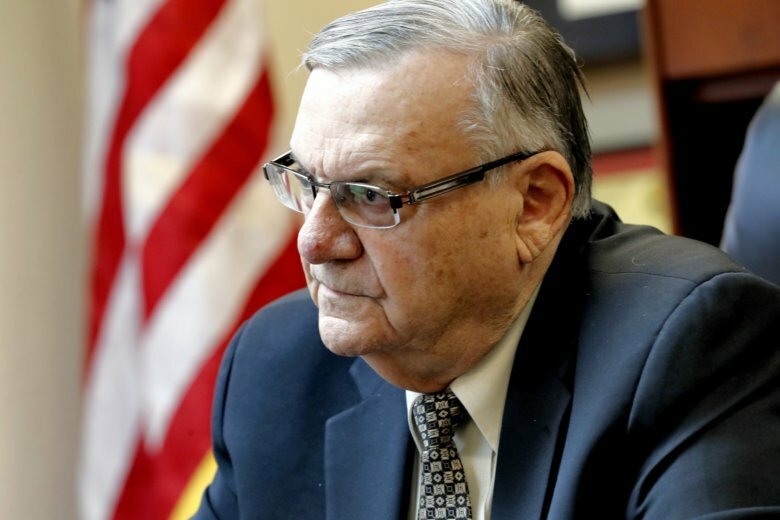 PHOENIX (AP) — Latinos who were illegally detained when then-Maricopa County Sheriff Joe Arpaio defied a court order face a Monday deadline to apply for taxpayer-funded compensation for the harm they suffered from his acknowledged disobedience. Fewer people than expected applied for compensation from a $500,000 court-ordered fund created after Arpaio defied a 2011 order barring his traffic patrols that targeted immigrants. The violation was made in a racial profiling case centering on Arpaio’s immigration patrols and eventually led to a criminal contempt of court conviction for Arpaio, who was later pardoned by President Donald Trump. When the application period began nearly a year ago, immigrant rights advocates said at least 190 people were illegally detained. But so far only one claim totaling $1,095 has been paid among the 114 claims filed, according to the latest figures. The advocates say 13 other claims totaling $150,000 are considered payable but are awaiting a rebuttal from the sheriff’s office. Kathy Brody, one of the American Civil Liberties Union attorneys leading the profiling case against the sheriff’s office, pointed out the victims are difficult to locate and that she believes a number of factors, including a fear of deportation, kept victims from applying for the money. A judge rejected a request to extend the one-year application period by six months after a lawyer representing Maricopa County argued that Arpaio foes were trying to rewrite the terms of the compensation plan. Arpaio’s successor, Sheriff Paul Penzone, didn’t take a position on extending the application period. “Where is everybody coming forward? Where are they?” Arpaio asked. Arpaio, whose defiance of the 2011 order is believed to have contributed to his crushing 2016 defeat in the sheriff’s race, said he doesn’t regret his actions that led to creation of the compensation fund. He conceded that the fear of deportation may have contributed to fewer applicants coming forward. While Trump’s pardon led to the dismissal of Arpaio’s criminal case, taxpayers in metro Phoenix are still on the hook for compensating those who were illegally detained in the patrols between December 2011 and May 2013. Under the compensation system, Maricopa County will pay $500 for the first hour of a person’s illegal detention and $35 for each additional 20-minute increment. A $10,000 cap was imposed on such compensation, but the judge said the victims can also seek money for other injuries resulting from the illegal detentions, such as lost wages and emotional distress. The judge presiding over the profiling case denied a request from Arpaio’s foes to require the lawman to personally pay $300,000 to help compensate the victims. The judge had ruled the lawyers opposing the sheriff hadn’t cited a legal authority for making Arpaio pay for conduct carried out in his official capacity.